I think its high time for my readers to understand some fundamental principles of how these weekly and yearly predictions are made. In yearly forecast mainly we look into the transit of planet Jupiter, Saturn, Rahu and ketu. It’s very important to know the basis on which the interpretation of these transits are made. Jupiter is an auspicious planet and yield to give good results during its transit in various houses but that’s not true. Planet Jupiter is really good when transiting fifth, seventh ninth or his own sign or house but as they have a shloka Saying “ Sthaan Haani Karoh Jivah “. Here Sthaan means place or house, Haani means impair or damage, Karoh means does, and Jivah in Sanskrit language is another name for Planet Jupiter or Guru. what it means is that Planet Jupiter impairs the house he is transiting in different ways. On the other hand transiting Saturn in very helpful in third, sixth and eleventh house or transiting various houses where he is a friend of the Sign occupied by Sun or Moon or transiiting in the capacity of Raja Yoga Karka as in case of people with their Sun or Moon in Taurus or Libra ascendant. And of course the transits of Planet Sun, Moon, Mars ,Mercury and Venus are also taken into serious consideration and interpretation of their transits are included as per their locations and the relations to the sign occupying Sun or Moon sign. Normally transit of Malefics like Sun and Mars is considered favorable in third, sixth , eleventh or when they are transiting in the capacity of helpful planet for various Sun or Moon sign. For an example since for Cancer the planet Mars is considered Raja Yoga Karka, its effects in different houses will be mostly helpful. Now Jupiter will stay in Taurus till May 31st, 2013 and Saturn will stay in Libra throughout 2013. Rahu will transit Libra and Ketu will stay in Aries throughout 2013. 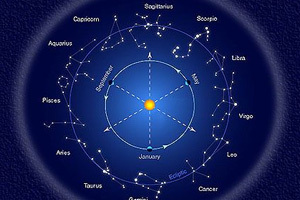 Now click on "Yearly Star Fortell" to see how these will impact your signs.